Bamberg, a UNESCO World Heritage Site, is a quintessential German medieval town in Upper Franconia, Bavaria. The town sprawls over seven hills and perches pretty on the shores of the River Regnitiz. It consistently charms flocks of tourists with its beautiful architecture, abundant culture, beauty spots and lively beer gardens. Let’s take a look at the sights and activities not to be missed in the lovely Bamberg. 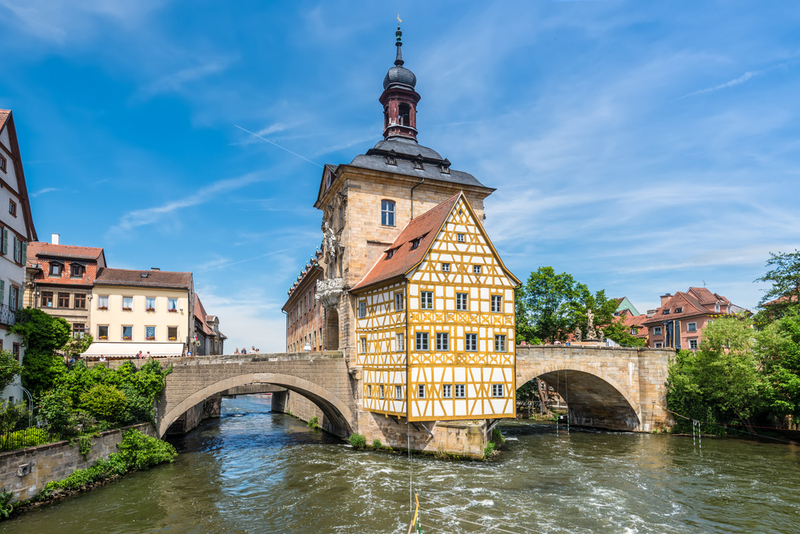 Altes Rathaus (Old Town Hall), the most famous sight in Bamberg, sits in its own island in the River Regnitz. It is said that when the bishop of Bamberg refused to grant land for the construction of a town hall, the citizens built the island and the town hall on it. Take time to gaze at the intricate frescoes painted on the exterior of the building, and step inside to check out the Ludwig collection and the Rococo hall. 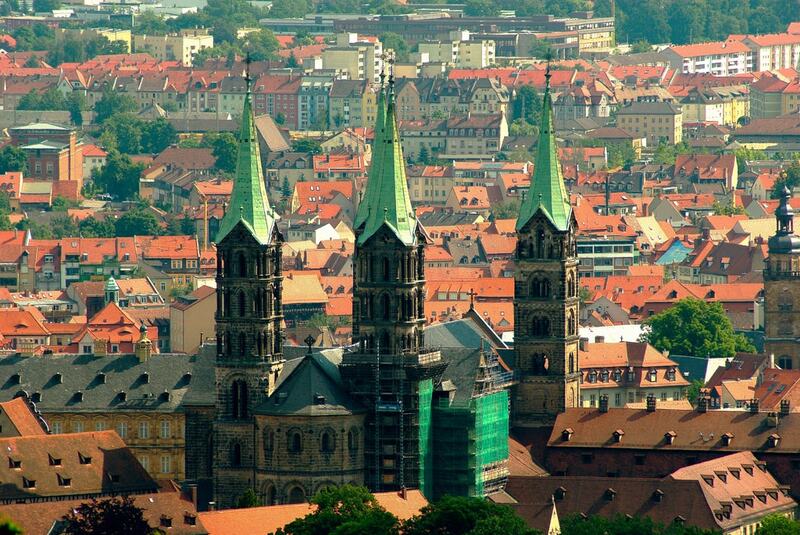 The four green towers of Bamberg Cathedral dominate the skyline of the town. The cathedral, exhibiting late Romanesque and early Gothic styles of architecture, was first constructed in 1002-1012, though it has been reconstructed and renovated several times in the following centuries. Treasures of the cathedral include the stunning marble and limestone tombs of Emperor Heinrich II, the founder of the cathedral, his wife, Empress Kunigunde, and the carved marble tomb of Pope Clement II. The cathedral is known for its many admirable sculptures, carvings and ornate choirs. 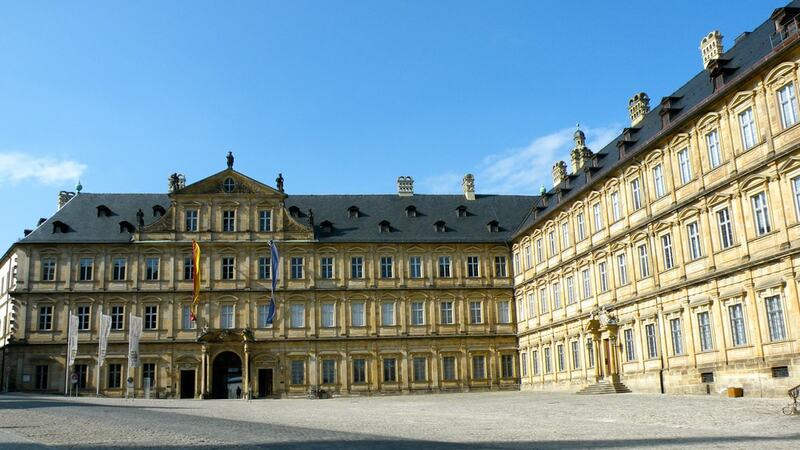 Experience the lavish life that the prince-bishops lived on a guided tour of the Neue Residenz. The Neue Residenz has preserved over 40 ornate rooms, with high stucco ceilings, breathtaking paintings and artwork, and furniture and upholstery from the 17th and 18th centuries. Another jewel of the building is the rose garden in its inner courtyard, which offers a fantastic view over the city of Bamberg. 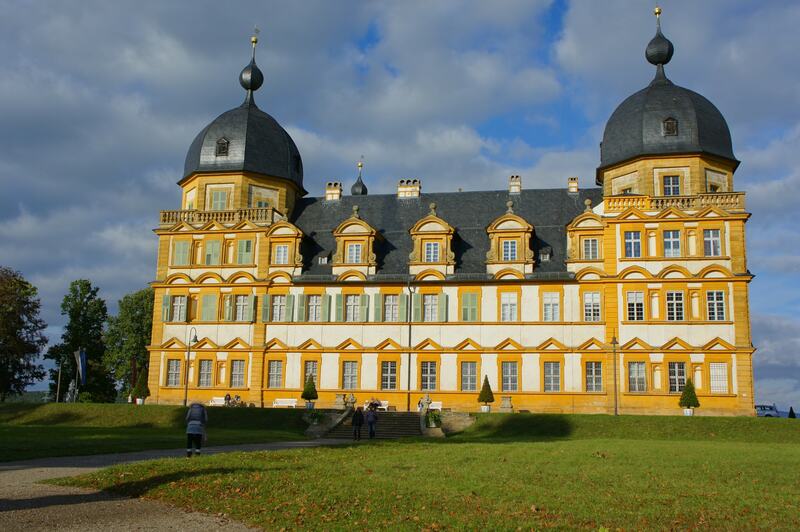 Schloss Seehof is a 17th-century palace that sits in a green parkland just outside Bamberg city and makes for a very interesting sight with its octagonal towers, dark slated roofs, lovely arched windows and unusual triangular gables. The palace houses a chapel on the ground floor, with a pretty Rococo altar. The popular palace restaurant is the perfect place to stop for a meal before continuing your sightseeing of Bamberg. 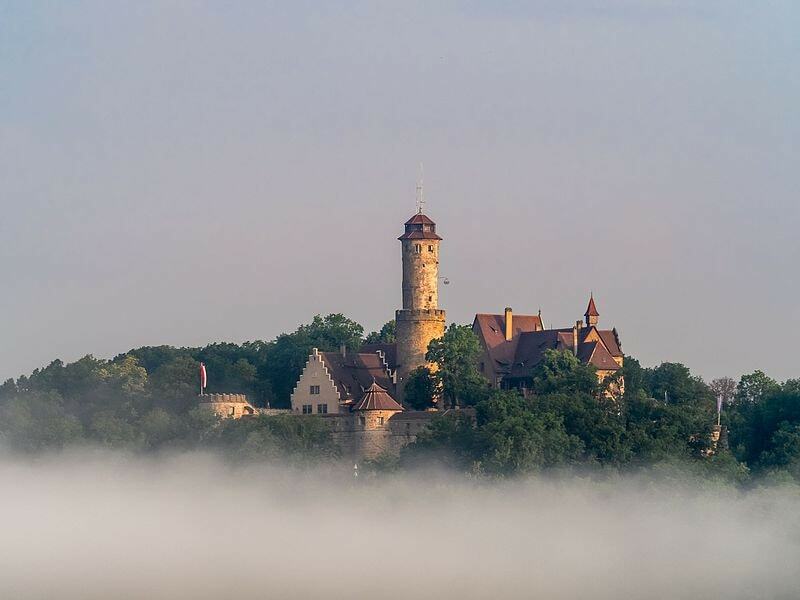 Altenberg Castle enjoys a picturesque location on the highest of the seven hills of Bamberg, and offers visitors an unbeatable view over gorgeous green valleys and the entire city of Bamberg. Visit to learn about the rich history of this castle, which dates back to 1109 and has served as a residence for bishops in the 14th and 15th centuries. Bamberg is known for its special beer and many local breweries and beer gardens. 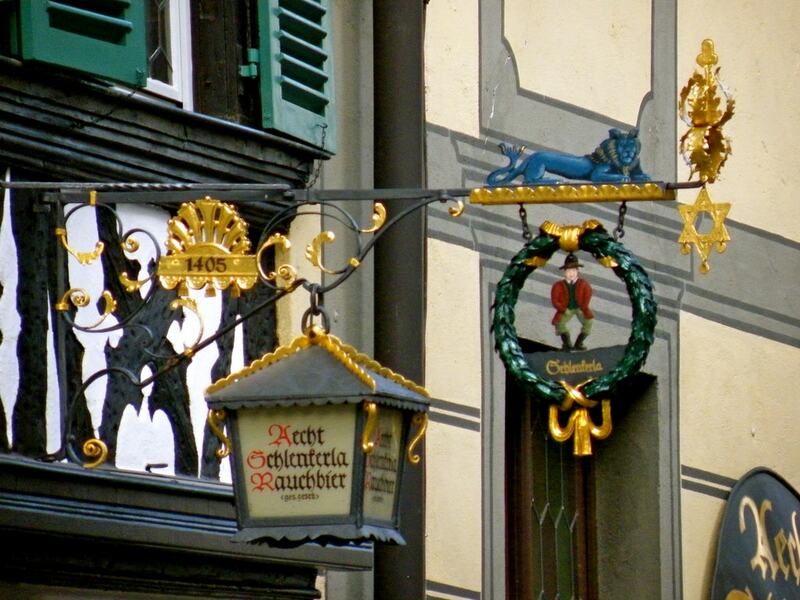 The most famous of Bamberg’s breweries is the historic smoked beer brewery, Schlenkerla. This 6th-generation family brewery has been quenching thirst since 1405 and still taps beer the old-world way – from wooden barrels. Visitors flock here not just for the unique Original Schlenkerla Smokebeer and delectable Bavarian cuisine, but for the warm ambience and beautiful interiors. Expect it to be very busy, especially in high season. Franconian Brewery Museum, dedicated to the history and fine art of beer production in Bavaria (especially Franconia) is a must-visit for true beer lovers. The exhibits at the museum trace the journey of beer, right from its crop stage to being poured in a glass. The motto of this museum is ‘Knowing more about beer – Gaining more from beer’! 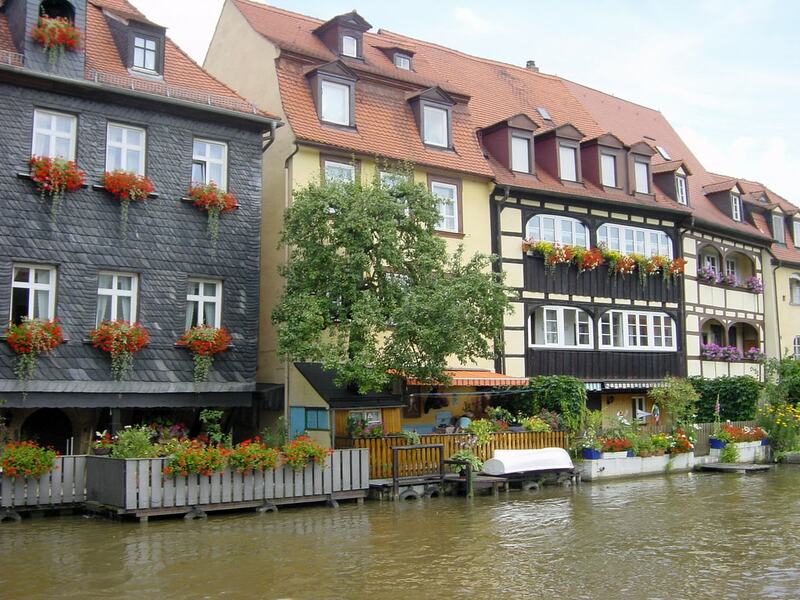 Little Venice or the Island City by the river has to be Bamberg’s most adorable section. It consists of steep-sloped, colourful houses with flower-box windows and little gardens squashed together. These cute half-timbered buildings can be dated back to the medieval ages and have been lovingly preserved through the centuries. The Market Gardeners’ District plays a pivotal part in shaping the character of Bamberg. This traditional wine-growing and agricultural expanse is preserved in honour of the producers and exporters of onions, seeds and liquorice from many centuries ago. Even today, little quarters of market gardening families can be found in this district just as they existed in bygone times. If you are enthusiastic about beautiful ancient architecture, Alte Hofhaltung is guaranteed to appeal to you. This historic ensemble built in the 15th century has admirable carvings and sculptures and a romantic half-timbered style courtyard where festivals are sometimes held. 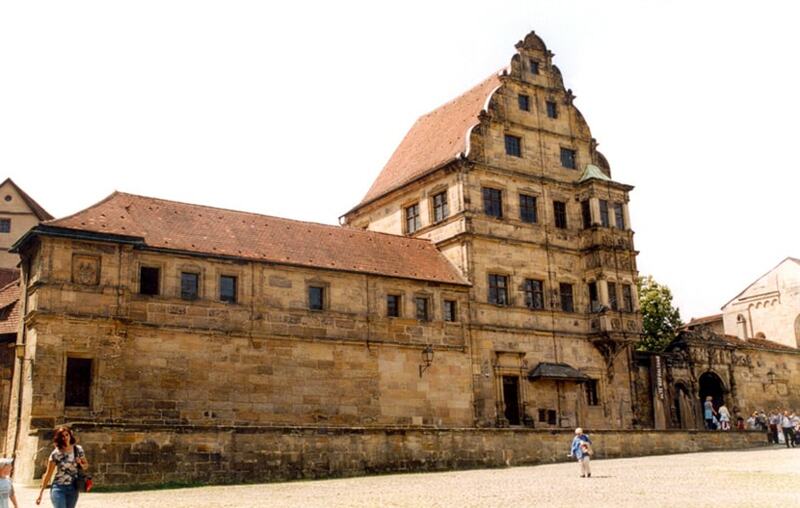 The building also houses the Historical Museum of Bamberg, known for its great collection of art and artifacts ranging from prehistoric to modern times.